Talus slides, boulder fields, rock rubble (with interstitial spaces adequate for habitation) near meadows. Usually at high elevation but mid-elevation possible if suitable rock cover and food plants present (Hoffmann and Pattie 1968). Animals feed on hay individually. In Glacier National Park hay piles stored under rocks (Barash 1973). Uses haystack during winter. Will reingest feces (Chapman 1979). Socially intolerant and territorial. Intraspecific intolerance increases steadily following mating in late spring, is highest in late summer (Barash 1973). Makes alarm and territorial vocalizations. Peak of breeding season is May and June. All yearling and adult females have reproductive potential for 1 to 2 litter/season. Young begin to be weaned at 12 days (Banfield 1974). Barash, D.P. 1973. Territorial and foraging behavior of pika (Ochotona princeps) in Montana. American Midland Naturalist 89:202-207. Chapman, J.A. 1979. Rabbits, hares, and pikas. Pp. 81-97 in: Grosvenor, G. M. (ed). Wild animals of North America. National Geographic Society, Washington. 406 pp. Broadbooks, H.E. 1965. 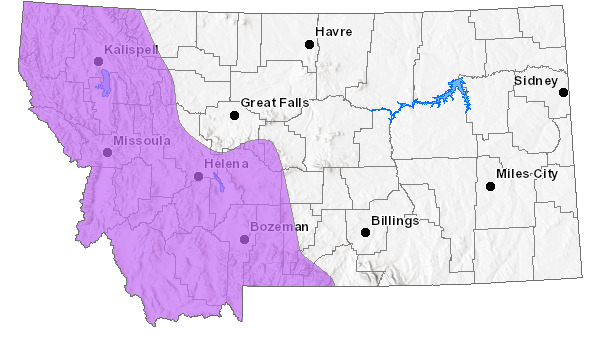 Ecology and Distribution of the Pikas of Washington and Alaska. Amer. Mid. Nat. 73(2)-299-335. Chapman, J.A. and Flux, J.E.C. 1990. Rabbits, hares and pikas, status survey and conservation action plan. IUCN/SSC Lagomorph Specialist Group. Jellison, W. L. 1947. An undetermined parasite in the lungs of a rock rabbit, Ochotona princeps richardson (Lagomorphia: ochotonidae). Proc. Helminthological Soc. of Washington. 14:75-77. Martin, K. 1943 The Colorado Pika. J. Mammal. 24:394-396. Moore, R. L. K. 1987. Daily and seasonal activity patterns of the pika in Southwestern Montana. M. S. Thesis. Montana State University, Bozeman. pp 61. Pruitt, W.O. Jr. 1954. Notes on Colorado Phenacomys and pika. J. Mammal. 35:450-452. Ray, Chris. 2006. 2006 Project Report: Testing hypothesized links between climate change and the decline of the American Pika. University of Colorado, Ecology and Evolutionary Biology, UCB 334, Boulder, CO 80309-0334, cray@colorado.edu , 303-735-1495. Smith, A.T. 1974. The distribution and dispersal of pikas - influences of behavior and climate. Ecology 55(6): 1368-1376. Smith, A.T., and M.L. Weston. 1990. Ochotona princeps. Mamm. Species 352:1-8. Southwick, C.H., S.C. Golian, M.R. Whitworth, J.C. Halfpenny, and R. Brown. 1986. 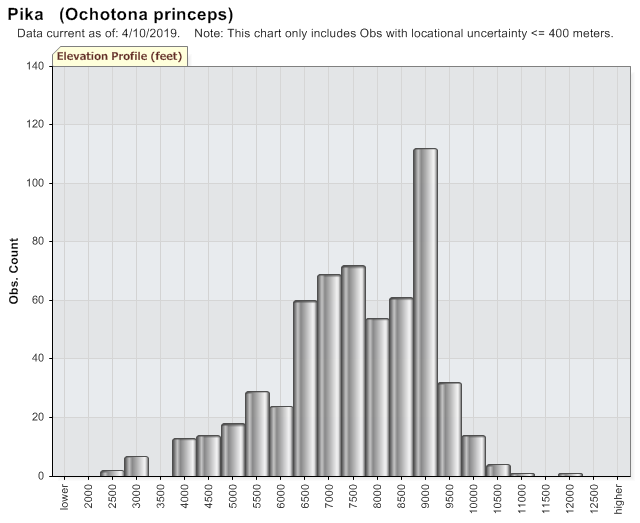 Population density and fluctuations of pikas (Ochotona princeps) in Colorado. Journal of Mammalogy 67:149-153. Wiseley, A.N. 1973. Patterns of variation in populations of the pika (Ochotona princeps). M.S. thesis. University of Montana, Missoula 107 pp. Web Search Engines for Articles on "Pika"